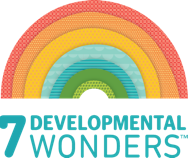 MULTI-DEVELOPMENTAL ACTIVITIES: More than 28 activities! 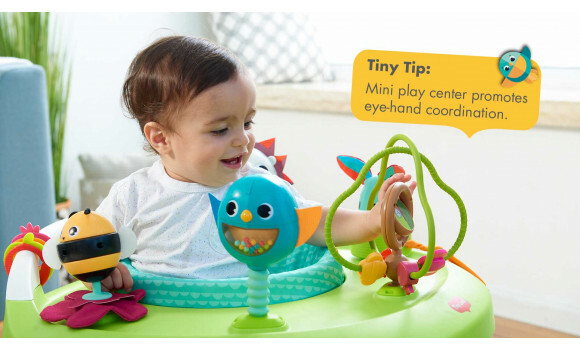 All of baby's playtime needs in one product - less clutter and more focused fun. 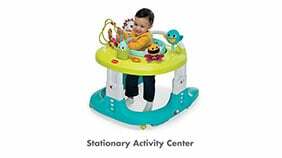 Let baby enjoy the wide selection of fun activities while developing gross and fine motor skills. 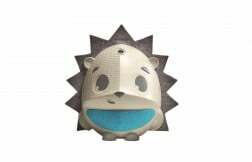 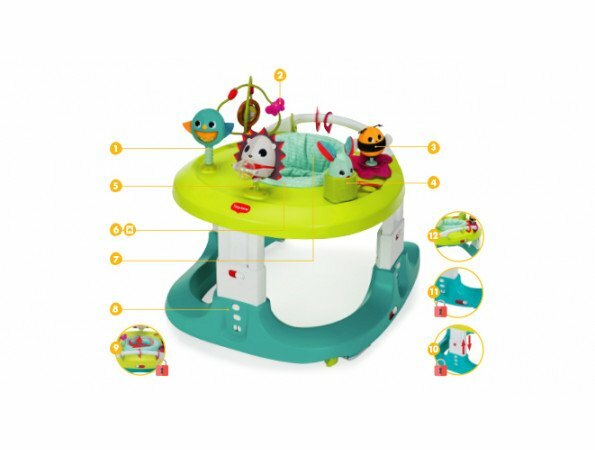 Ideal stage for the product's jumper functionality, which helps baby exercise the muscles participating in the adventure of walking the lies ahead. 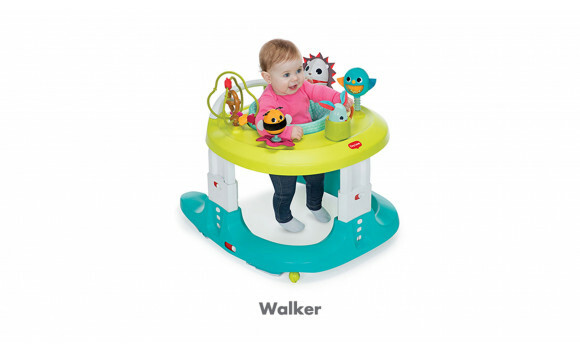 Use as a walker to give baby that extra support and confidence when taking their very first steps. 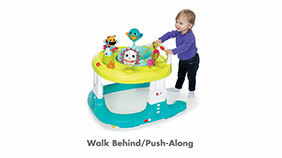 Your walking toddler can enjoy the Walk-behind mode, pushing the fun toy around with confident steps. 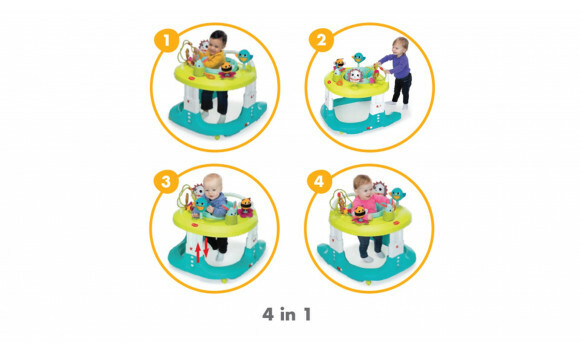 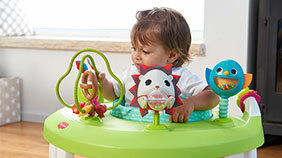 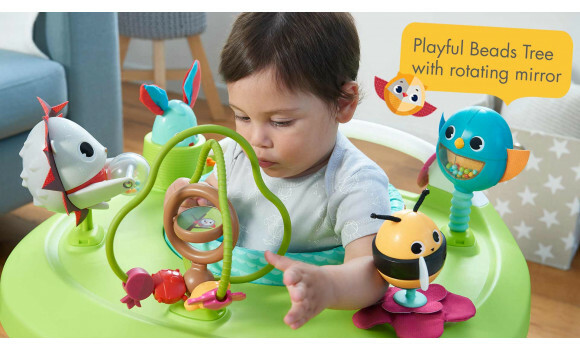 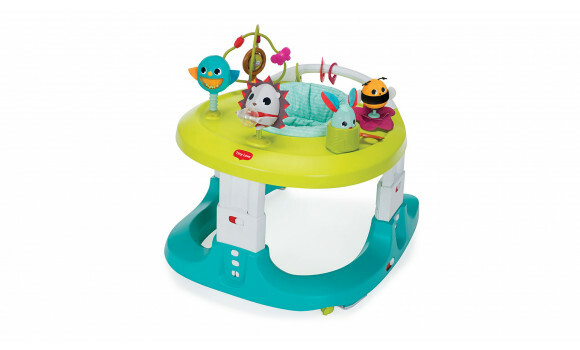 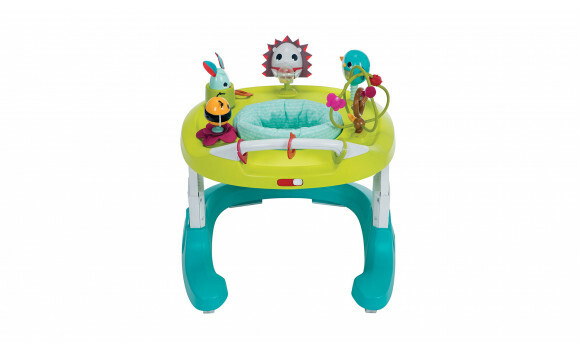 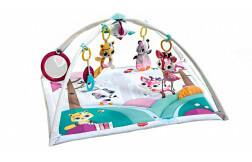 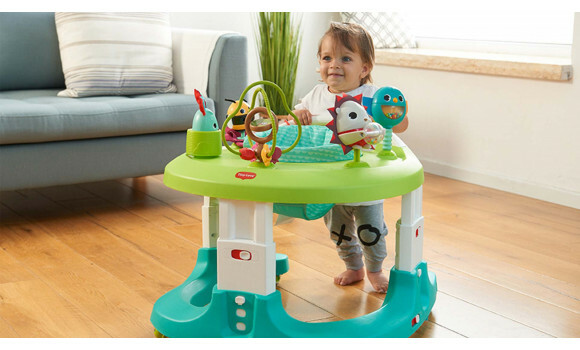 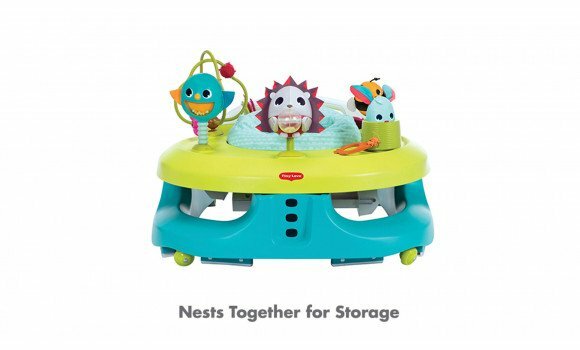 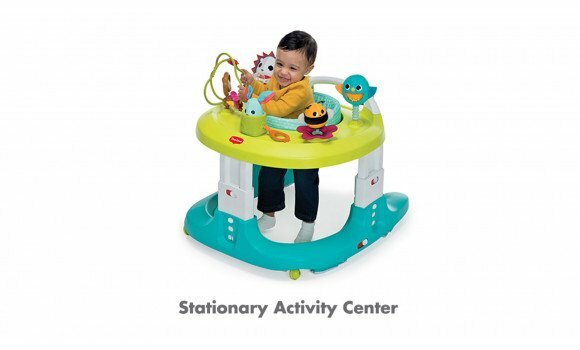 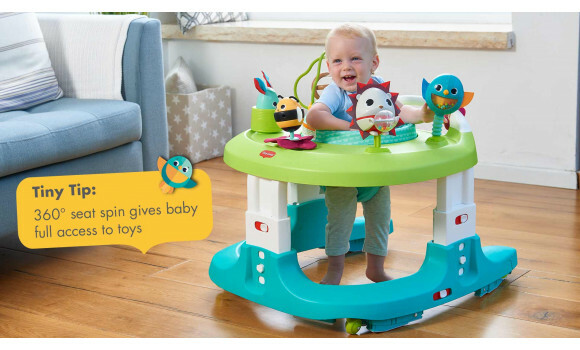 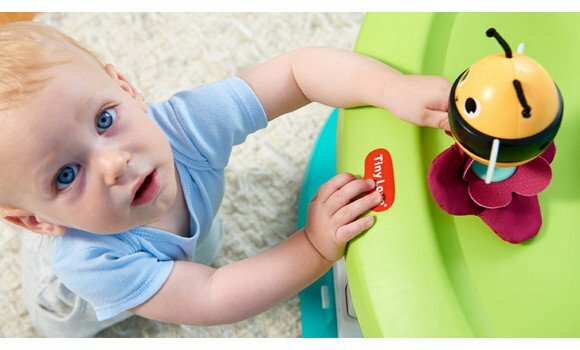 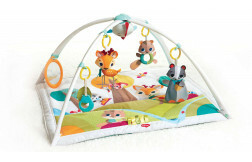 Stationary activity center - Baby explores the fun selection of activities and toys on the 360 degrees rotating seat, playing with 5 adorable toys while honing skills and abilities. 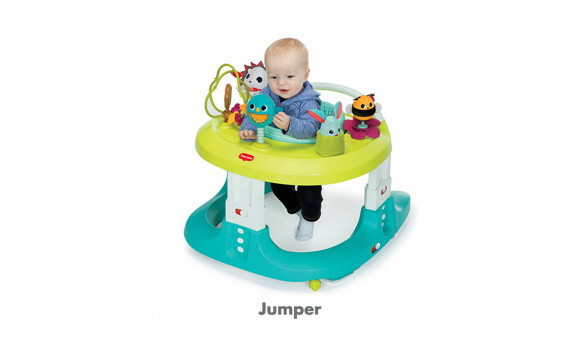 Jumper - For some fun and muscle strengthening pastime, let baby enjoy the bouncy jumper mode. 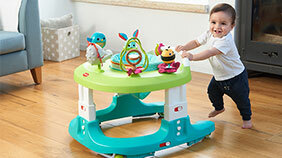 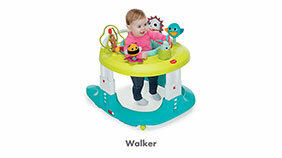 Walker - Gently supports baby's developing gross motor skills that will eventually turn your crawler into a walker. 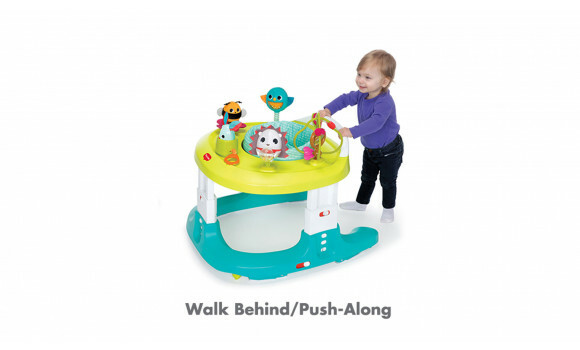 Walk behind/push along - When babies take their first steps, the push behind mode is a fun and useful way to support this gross motor skills milestone. 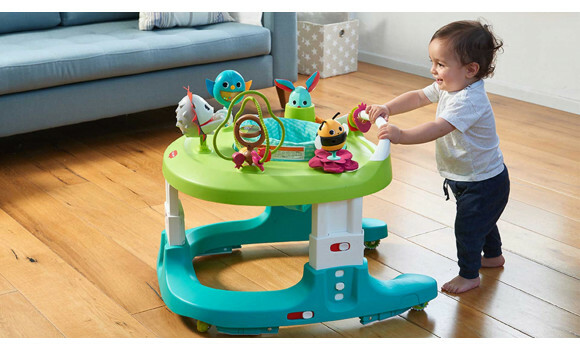 Turning in the seat, jumping, walking in the walker or behind it strengthen a wide variety of muscles and help improve baby's balance. 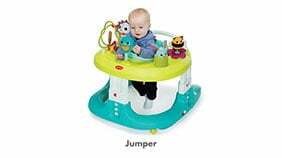 The various activities help baby practice fine motor skills and strengthen finger muscles to support further fine motor challenges to come. 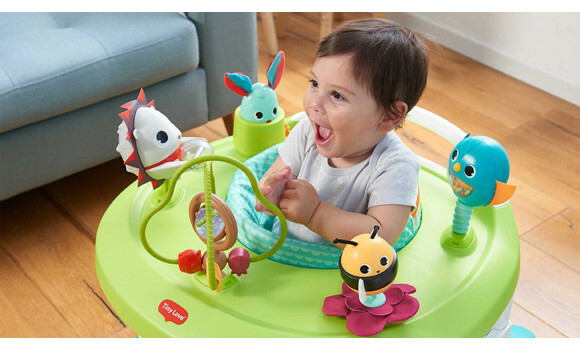 Support babies developing cognitive skills with the fun hide & seek rabbit and jitter carrot, which enhance baby's understanding of object permanence and cause & effect. 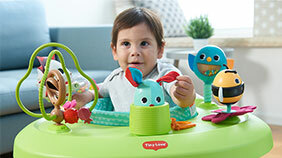 Point to the cute animals that baby is playing with and call them by their name, Marie the Hedgehog, Thomas the Rabbit, Emilia the Bird and use their Tiny Love stories to chat to baby and stimulate language skills. 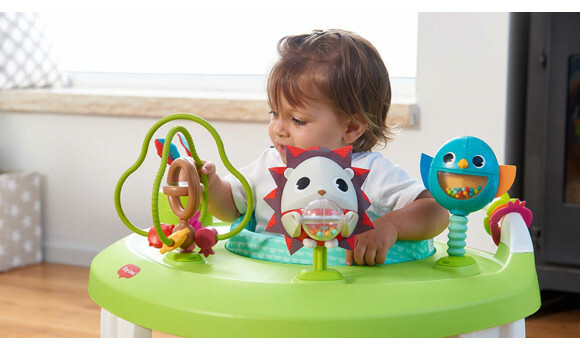 Also encourages EQ and Gross Motor Skills, inspires Imagination & Creativity and stimulates the Senses.